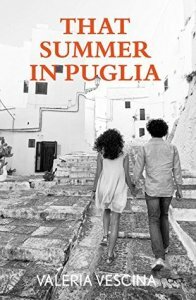 Today I had the wonderful surprise of a review of That Summer in Puglia by video. It comes from the fabulous literary blogger Claire Lyons and you can watch it on her website, Mrs. Average Evaluates, by clicking here. I’m grateful to Claire Lyons for her warm, powerful words. A beautiful review of That Summer in Puglia. My thanks to reviewer Ann Marie of NYC-based Lit Wit Wine Dine for communicating with such clarity and warmth her perceptive reading of the novel. Below are images of short extracts of the review. I encourage you to click here to access the full article on this excellent literary blog site. And here is another invitation to read the full review on the Lit Wit Wine Dine blog. Thank you, Karen Mace, for your warm recommendation of That Summer in Puglia. Thank you, Joy Corkery, for your beautiful review of That Summer in Puglia on Joyful Antidotes. A description and an extract of “That Summer in Puglia” on the “Over The Rainbow Book Blog” today. My thanks to Jo Park for kicking off the Bookollective blog tour!